Zignals Strategy : 15 more years of this? Looking at the action of the Dow over the past 10-12 years it is difficult to see (at best) the index doing anything more than spend another 12-15 years in a range bound condition. From 1962 to 1983 the Dow effectively traded between round number support and resistance of 500 and 1,000. For the next 20-year cycle the Dow pushed from 1,000 to 11,000; effectively an overshoot of the greater psychological 10,000 level. Since then the Dow has attempted to form a new range with support at 7,500 and resistance at 15,000 (a more important level than 14,000). 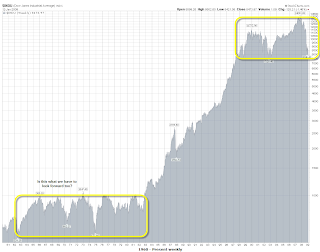 The 2002-07 move from 7,500 to 14,000 is very much a mirror image of 1962-66 when the index went from 500 to 1,000. The 1962-66 range defined the next 20 years of market action; will the 2002-07 range do the same? An exact time match would set 2022 (or at least the new Roaring '20s) as the time the next major rally will commence. Perhaps the "next Great Depression" isn't now - but will hit in time for 2030s, just when 99942 Apophis is making its run on Earth; that surely will be a depressing time! From an ETF perspective, the Diamonds (DIA) have decisively broken the November low. 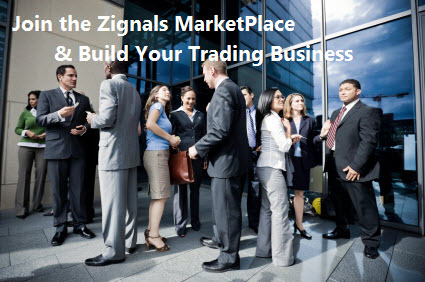 The current down channel has support in the mid-$60s; a good place for a Zignals Stock Alert for a bounce. If you have an opinion, make a Call; I'm reserving judgement on this after my last Diamond (DIA) YourCall was stopped out at $82.77 - it still feels too early to make a call but others may differ in their opinion.